kampfplatz is a biannual, peer–reviewed journal, open to various disciplines in philosophy, humanities, and social sciences. 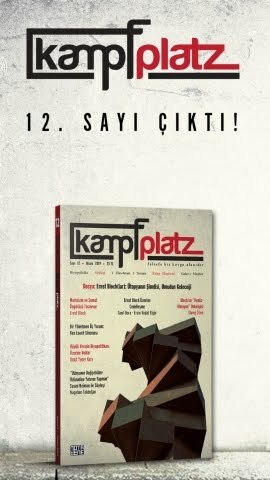 kampfplatz is a print journal, published mainly in Turkish, along with online articles. 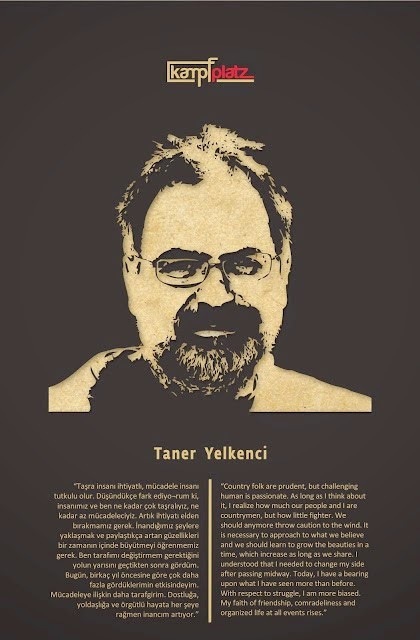 It is also open for articles in English (or other languages) to be published online in their original languages, and if appropriate, with Turkish translations in the print version. The journal emphasises the value of introduction and discussion of contemporary trends and thoughts with a critical perspective, prioritising the generation of scientific and critical knowledge and contribution to public debates. While adopting a critical approach towards contemporary political matters by employing the concepts of political sciences and political theory, kampfplatz aims at organizing itself as a workshop. In this context, it seeks to expand the basis for theoretical discussions and collaborations with similar collective networks. kampfplatz is open to articles with a primarily theoretical framework from fields such as philosophy as well as political economy, political theory, media studies, cultural studies, sociology, and history. Each issue calls for articles on a specific topic, of which three or five are to be published. While these are mostly theory-based, each issue features articles under specific topics, including but not limited to biopolitics, dialog, cinema, or book review. Dialog is a text, constituted by correspondences between two or more authors on a theoretical theme. As a debate on theory, it is conceived as an attempt to push the limits of and to extend critical thinking. In the cinema section, each issue features three articles on a particular director, movie, or theme. These articles focus on a single context and approach the same theme from different perspectives. Book review might dwell upon a critical analysis of new publications but can also choose to introduce books that are considered worthy of translation as a contribution to a specific field. kampfplatz retains the right to reject papers without starting the peer-reviewing process. In this respect, each paper is subject to an initial review in terms of the publication principles of the journal. Additionally, papers containing any sort of sexist, homophobic, racist discourses, and hate speech are absolutely not accepted for assessment. kampfplatz uses double-blind peer review for assessment. In general, papers are sent to two reviewers from the advisory board, or to a third if necessary. Submissions must not bepreviously published or beunder evaluation for publication elsewhere. All articles are considered to be the property of kampfplatz from the time of publication. Authors confirm to transfer the copyright of the published article to the journal. kampfplatz uses the reference style based on the APA format (6th edition). Submissions should be sent to kampfplatzdergisi@gmail.com.